We adhere to the Mediterranean diet not merely because we’re in Greece. Tested over the centuries, it’s proven to be one of the world’s most wholesome and satisfying ways of eating. 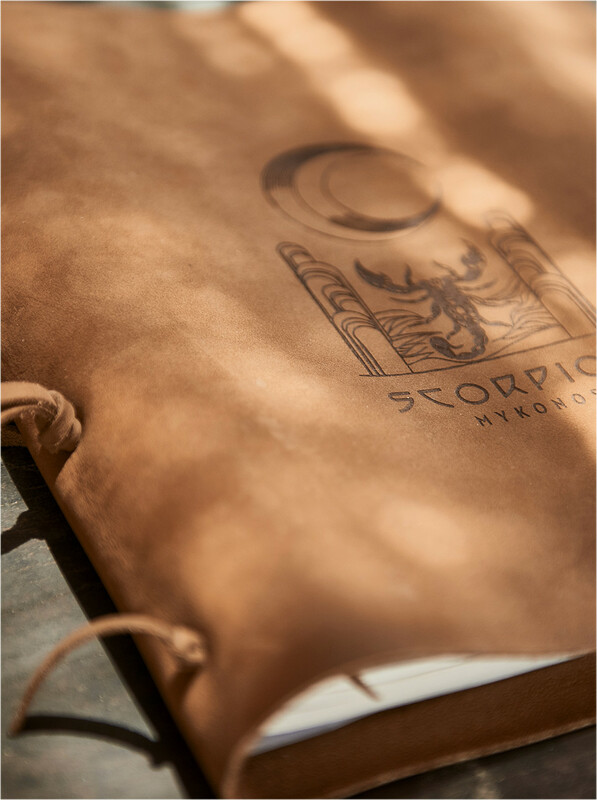 Organic, local, gourmet, predominantly vegetarian, it's also a lifestyle-the kind that resonates deeply with the notion of Scorpios as a communal domain. 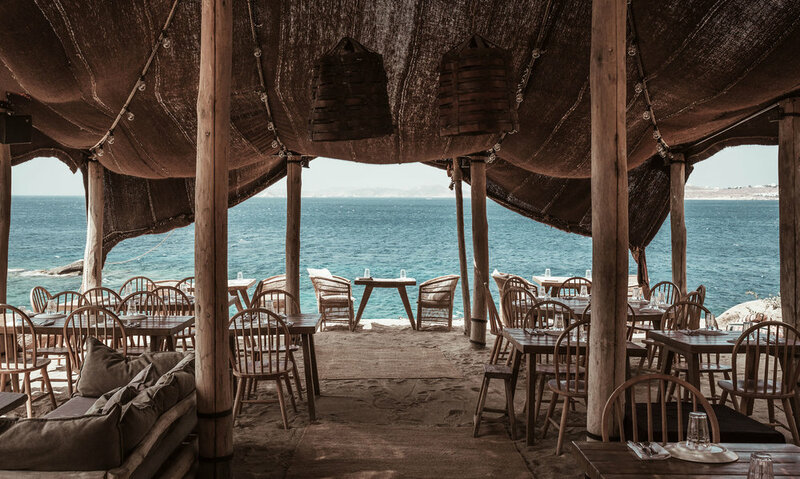 Furnished with large, communal tables, our beachfront open-air, open-plan restaurant is thoughtfully designed to accommodate and advocate our core philosophies. community, to be creative, and live an exciting life." 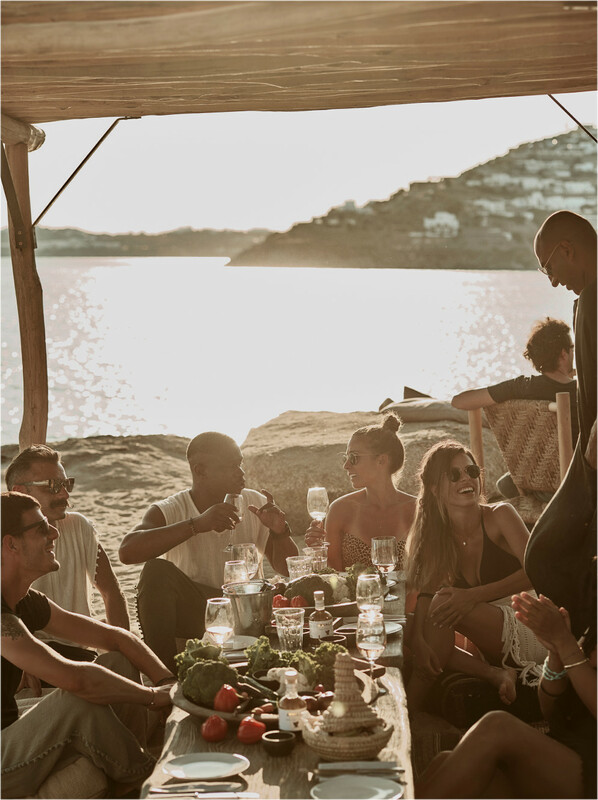 Alexis Zopas, a nationally acclaimed chef who helms the kitchen at Scorpios, focuses on carefully sourced, holistic cuisine, presenting simple, refined dishes that are infused with a Greek provenance yet bear the mark of Mediterranean and Oriental influences. Dishes such as seafood ceviche with chili, coriander and green olive oil are served on large plates—ideal for a long, leisurely family-style meal.